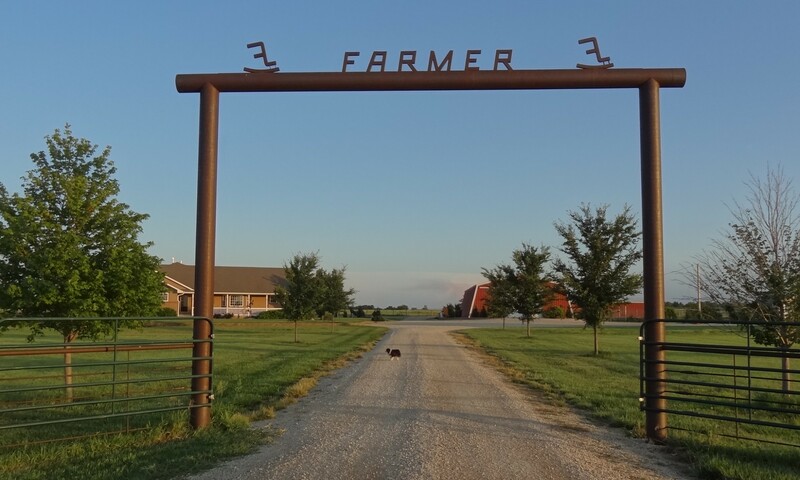 This entry was posted in Day Trips and tagged Churches, Kansas on March 12, 2017 by Debra Farmer. The ironwork in this area is so beautiful. They were immigrants from the Volga region in Russia. Me, too! She’s got an eye for seeing beauty on the plains. Great shot of the cemetery. 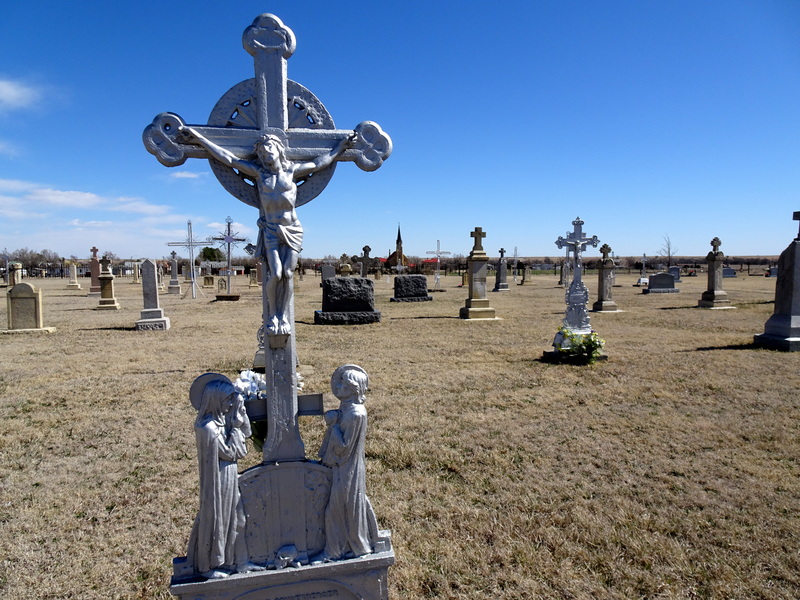 The blue sky, the sunlit scene and the spacing of the grave markers make for a photographically excellent picture. Oh my gosh, that indoor color is so unique!! Where is this town? The town name is unusual. Is it German? 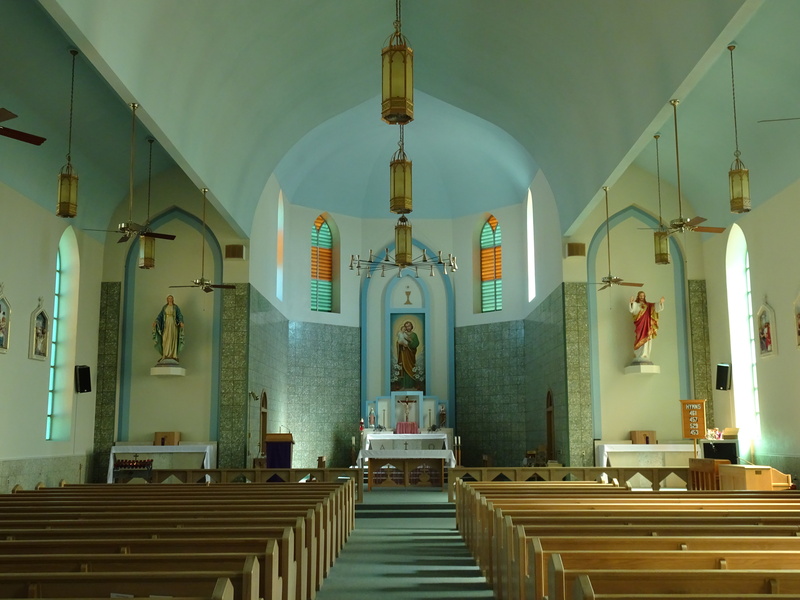 The ceiling, walls and carpet along with the sun in a bright blue sky certainly made for an unusual color inside the church. I had thought about looking for the light switches, but the natural look was the best! Oops, I just saw you said Russia.